Posted November 13, 2018 by Bill Hastings & filed under 8-Dog Racers. 8-DOG CLASSIC LINEUP #10 — Joshua Miltier from Boulder, Colorado. Josh is currently a student at Colorado University in Boulder CO and serving in the US Army. He carries on the tradition of dogsledding from his father, Jesse Miltier, who has been racing for decades. 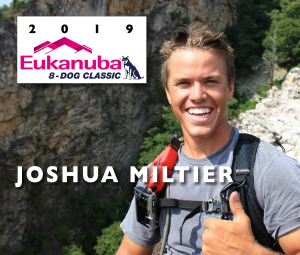 Josh started out at a young age training and running pure-bread Siberian Huskies, then transitioned to mixed breeds for sprint racing. 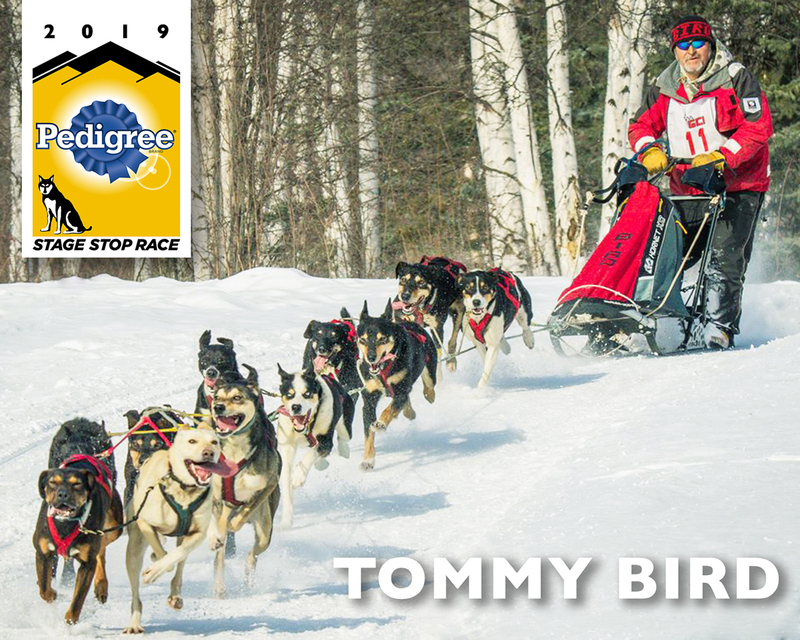 His first sprint race (or any official race) was in 2013, with an 8-dog team — he hadn’t touched a sled since before his 10th birthday. Josh recalls, “my times were good, but I barely managed to hang on to the sled!” He says he’s a lover of “anything outdoors” and enjoys being a “dirt bag” when possible. 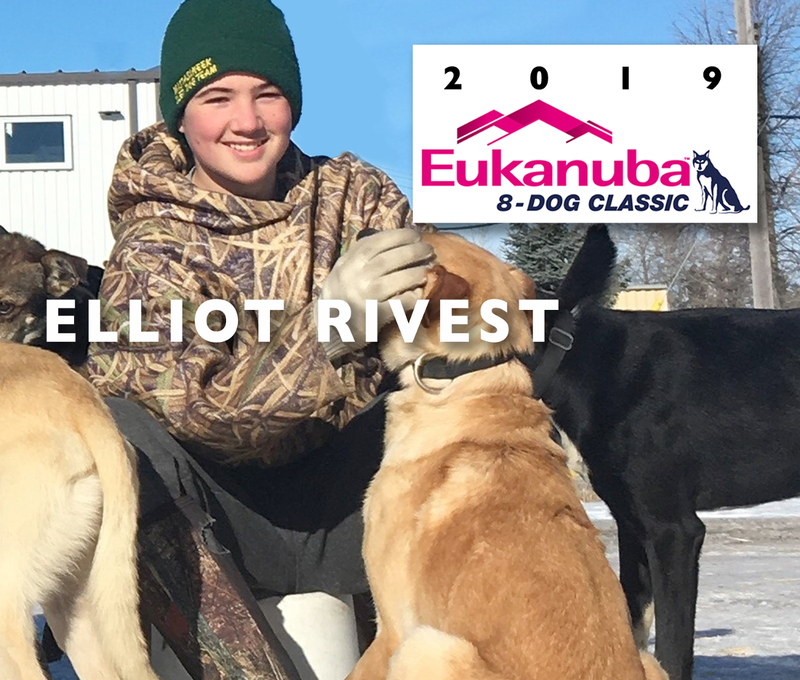 8-DOG CLASSIC LINEUP #9 — Elliot Rivest from St-Zénon, Québec, Canada. 8-DOG CLASSIC LINEUP #8 — Geneva Ann Lyon from Brightwood, Oregon. 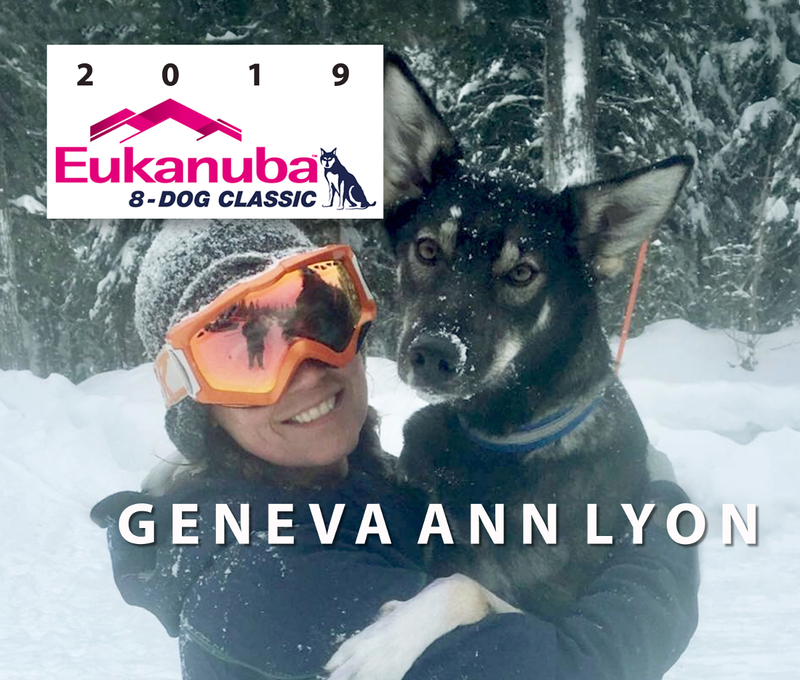 Geneva Lyon (pronounced je-NEE-vuh LY-awn) says that she’s “always loved dogs and all animals.” Born and raised in Oregon, she grew up snowboarding, then got into skijoring, and fell in love with driving a dog team. She and her husband Tim, stepson Dillon, and 3-year old daughter Shade live and train on and around Mt. Hood in Oregon. 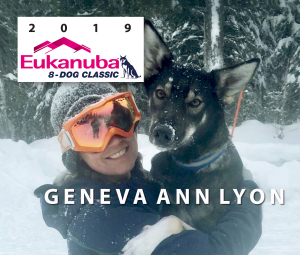 2019 will be Geneva’s 15th season running dogs, her 8th year racing, and her very first time running in Wyoming. 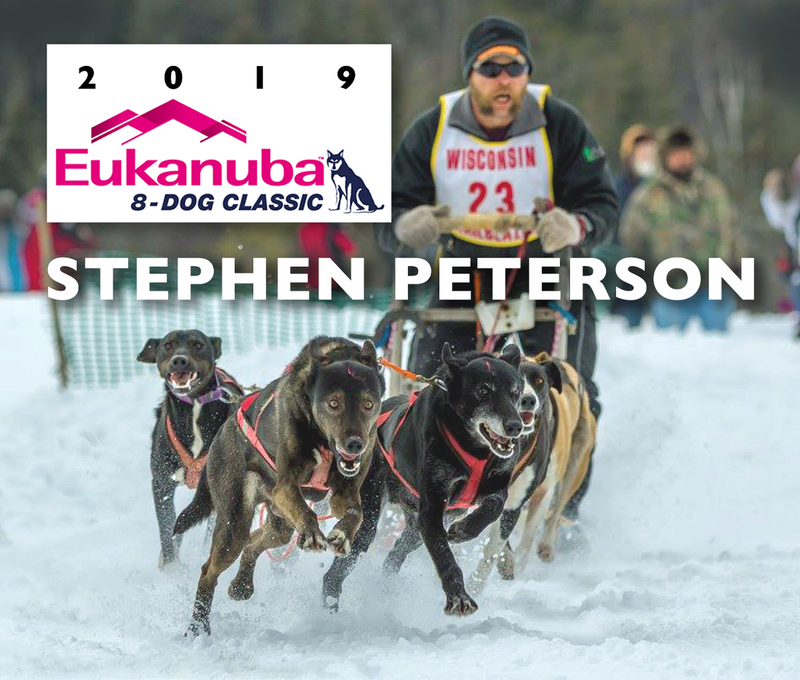 8-DOG CLASSIC LINEUP #7 — Stephen Peterson from Backus, Minnesota. Stephen Peterson began sled dog racing in 1998 at the age of 23. His first sled dog race was the Third Crossing Sled Dog Rendezvous in Frazze, Minnesota which Stephen says “was a wonderful learning experience.” Since then, he’s traveled all over the United States and Canada attending many races. The 2003 Prince Albert Winter Festival “was an awesome mass start race with 33 world class competitors. I was able to finish in 3rd place the first day right behind Buddy and Eddy Streeper.” In 2017, he competed in the Stage Stop placing eighth overall. Please welcome Stephen back to the 2019 Pedigree® Stage Stop Race. 8-DOG CLASSIC LINEUP #6 — Christina Gibson from Carlton, Washington. Christina, 17, became interested in mushing at the age of four. After seeing the animated movie “Balto,” she decided she wanted to run and win the Iditarod! She ran a dog for the first time at the age of twelve, and a year later began her team. Christina plans to go to college and eventually wants to produce a top competitive mid-distance team racing at 100-250 miles. Christina owns her own Whiteout Racing Kennel and started racing four years ago. She lives and trains in the foothills of the north Cascades. “After my first season of mid-distance racing, I’m excited to try something new and I look forward to racing in Wyoming!” says an enthusiastic Christiana. Photo by Julia Redington. 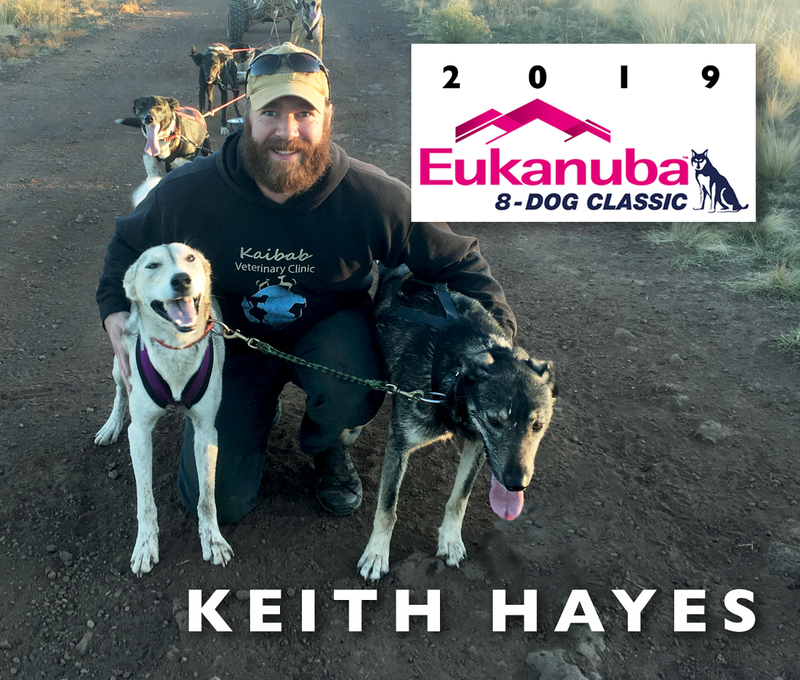 8-DOG CLASSIC LINEUP #5 — Keith Hayes from Parks, Arizona. Keith lives in a small rural town outside Flagstaff, Arizona bordering the Kaibab National Forest with his girlfriend, 13 Alaskan Huskies, as well as several other animals including goats, chickens and a pig. Almost all of his training is dryland which means winter travel to Colorado, Montana, and Idaho to run on snow. “I am very thankful to my mentors Denise Edwards and Gery Allan for helping me get started in dog-powered sports 5 years ago. 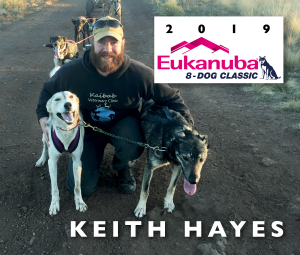 I also would not be able to do this without the incredible support of my girlfriend Carly.” This will be their first time in Wyoming and Keith’s first time running the Eukanuba 8-Dog Classic. 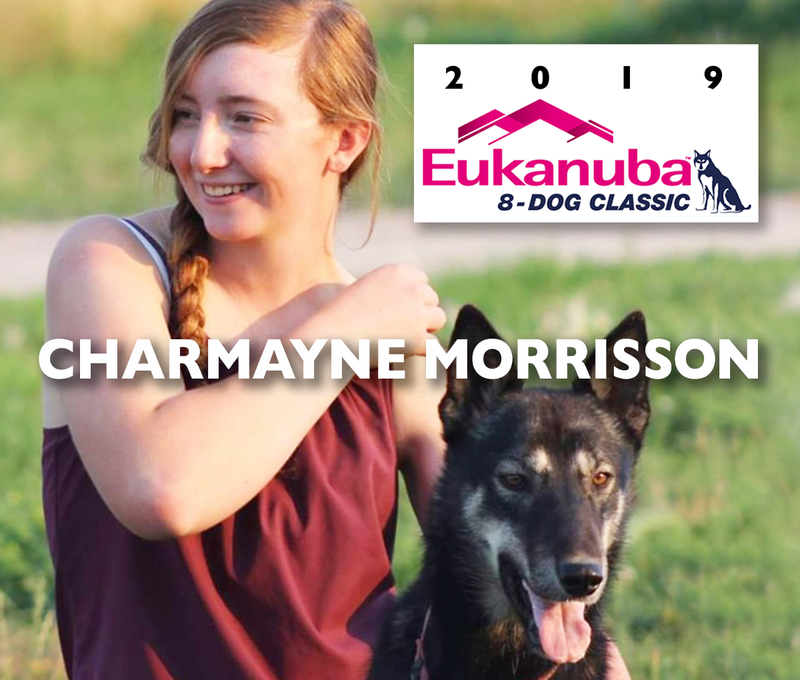 8-DOG CLASSIC LINEUP #4 — Charmayne Morrison from Polson, Montana. Charmayne, age 17, began mushing as an 8th grade project in her Advanced Studies Class and was hooked! This will be her fifth season racing and her first time running the Eukanuba 8-Dog Classic. This winter she is training out of Anduril Kennels (Rob and Cara Greger) in Bozeman, Montana. “The dogs and I have a special bond that can only be built from the first moment they open their eyes. I think this has made us a better team and overall more prepared for any trail conditions that we may encounter,” says an upbeat Charmayne. 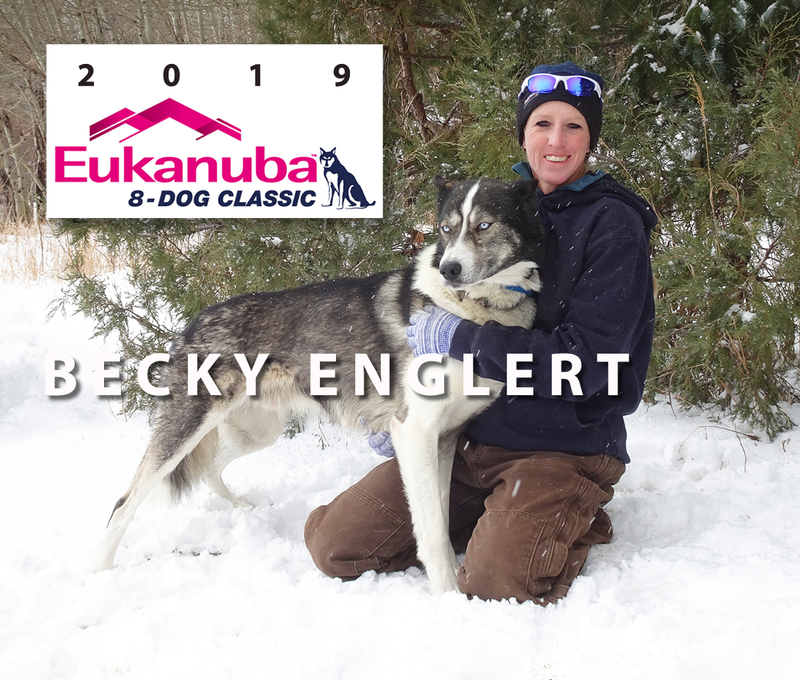 8-DOG CLASSIC LINEUP #3 — Becky Englert from Elk Mountain, Wyoming. Becky and her family live on a ranch in southern Wyoming. 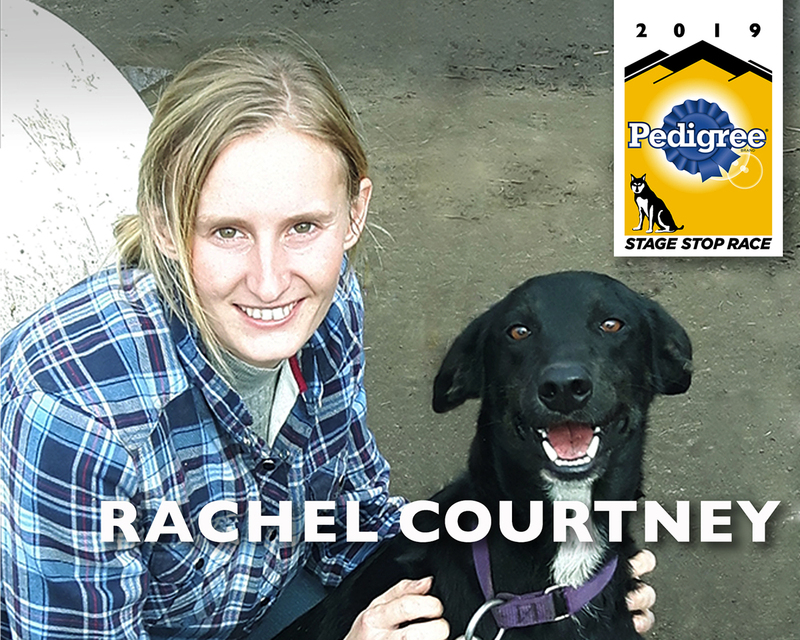 Although she didn’t start running dogs until 2009, Becky’s passion for sled dogs and horses started when she was a child. She, her husband Travis and two children live on a Wyoming cow/calf ranch where they keep a small kennel of AKC registered Siberian Huskies, Australian Kelpies and a few rescues. Their family enjoys the outdoors, riding horses, running dogs, snowshoeing, skiing, hiking, and rodeos. Her other great love is adopting and training BLM wild horses to become solid working partners. Becky says she’s looking forward to the challenge of this year’s Eukanuba 8-Dog Classic. 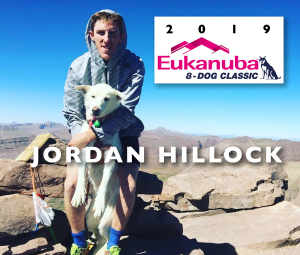 8-DOG CLASSIC LINEUP #2 — Jordan Hillock from Minersville, Utah. He’s 28 years old, the Owner /Operator of Hillock Sales Consulting, and began mushing in 2014 with Chris Adkins. While running sled dog tours in Park City, Utah he began to get more and more interested in sled dog racing. After a few years of experience with Adkins, Jordan moved back to his home town of Minersville, Utah and began his own sled dog team. His goal is to bring sled dogs, racing, and education to Southern Utah. 2018 was Jordan’s first year racing. He placed 10th in the Eukanuba 8-Dog Classic last year and he says that he learned a lot about racing. He’s excited to return to Wyoming and put that knowledge and experience to good use. 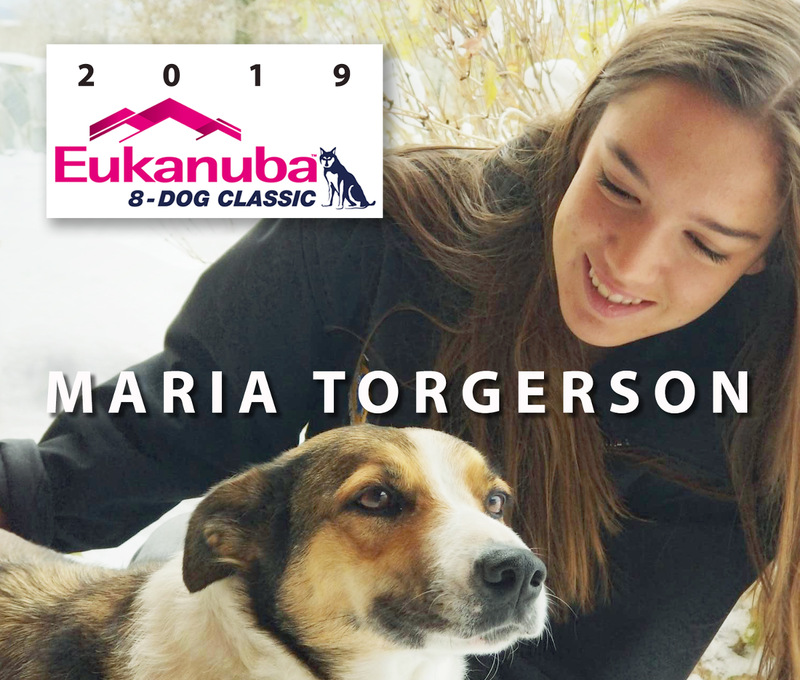 8-DOG CLASSIC LINEUP #1 — Maria Torgerson from Red Lodge, Montana. She’s 16 years old and grew up in a small cabin in the woods outside of Helena, Montana. Maria writes in her race application biography that her only companions growing up were 15 retired racing Alaskan Huskies. Maria was riding in a dog sled before she learned to walk. As the daughter of veteran Pedigree Stage Stop competitor, Dave Torgerson, she shares his love of the sport and for the racing husky breeds. 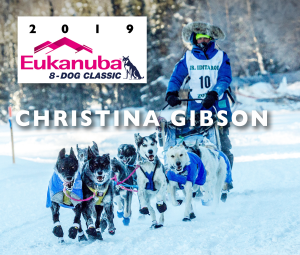 In the past few years, she’s trained in mushing, dog obedience, showmanship, and agility as well as being a volunteer and handler at the Stage Stop Race since 2015. This will be Maria’s first year running the Eukanuba 8-Dog Classic. Posted September 17, 2018 by Bill Hastings & filed under Stage Stop Racers. 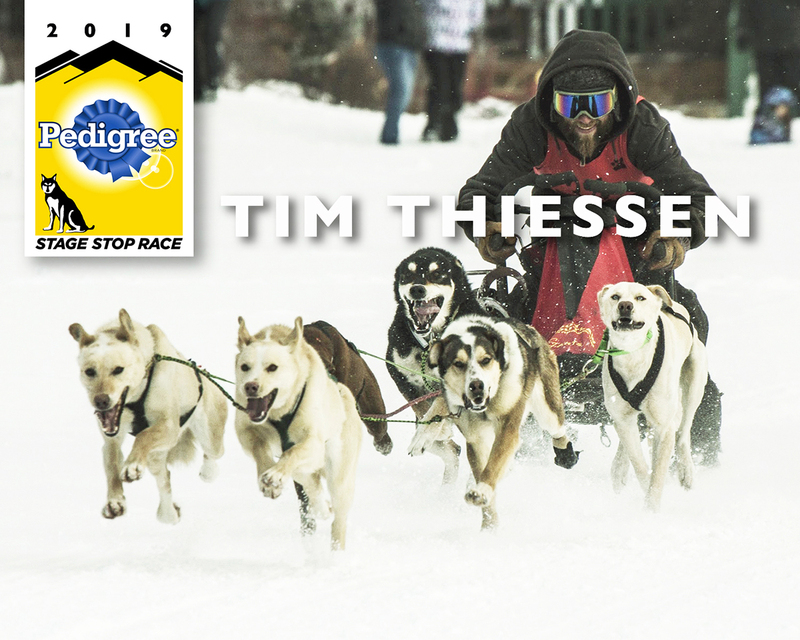 #25 — Tim Thiessen from Leadville, Colorado. #24 — Richard Beck from Yellowknife, Northwest Territories, Canada. Richard is a Supervisor with the City of Yellowknife. He grew up in a family of mushers where dogs were a part of their culture. He’s placed in the top 10 in multiple races in Europe, Alaska, British Columbia, Alberta, Saskatchewan, Manitoba, and Quebec. Richard recently captured his 11th champion title at the 64th Dominion Diamond Canadian Championship Dog Derby December 27, 2018. 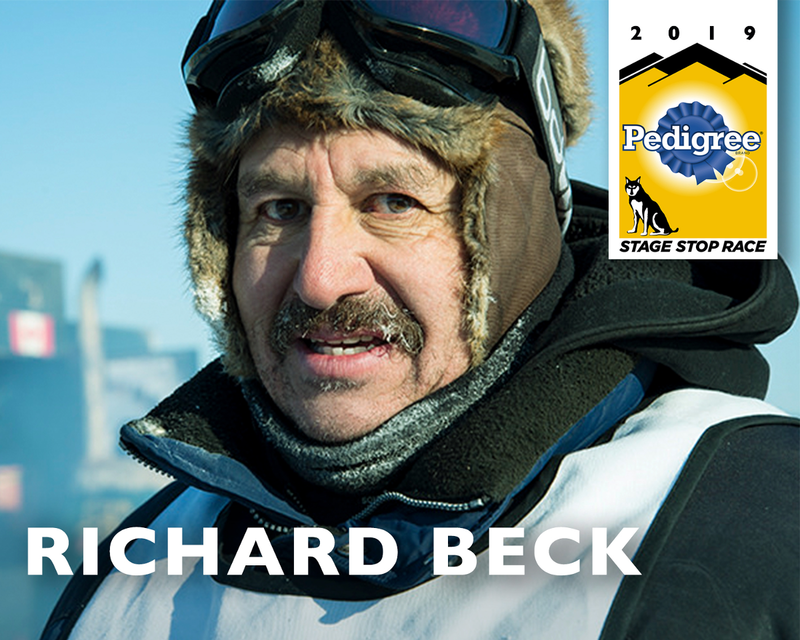 He raced the 2012 and 2013 International Pedigree® Stage Stop Sled Dog Race and says “I’m looking forward to competing with some of the best dog mushers in the world.” Richard and crew will drive 2,700 miles, one way, to the race start in Jackson. #23 — Tommy Bird from Southend, Saskatchewan, Canada. #22 — Rachel Courtney from Caliento, Manitoba, Canada. #21 — Anny Malo from Quebec, Canada. Anny Malo is a biologist, Executive Director and owner of Bio-Forest Management Rivest with her husband, Marco. She started mushing in 1995 after Marco used his dog team to meet her. Mushing became their passion and in 1998 they spent eight “hands-on” months at Joe Redington’s kennel learning all they could about sled dog racing. They’ve raised their children, Tristan and Elliot, in the dog mushing world family traveling across Canada and the United States to participate in mid-distance races. 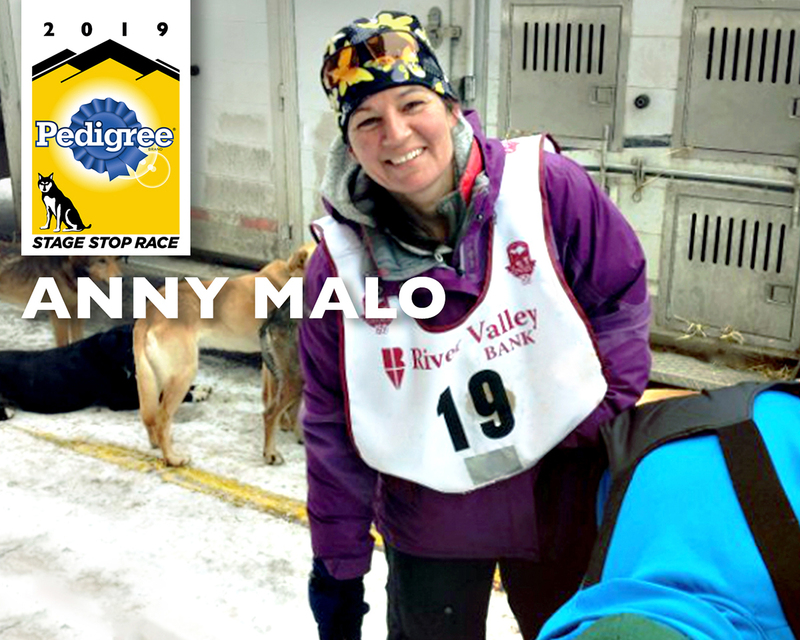 Anny holds the honor of being the first female to win the Copper Dog 150, taking first place in in 2017 and second place in 2018. She’s also the first female to win the 2018 Cross Lake Trappers Festival Race in Manitoba. 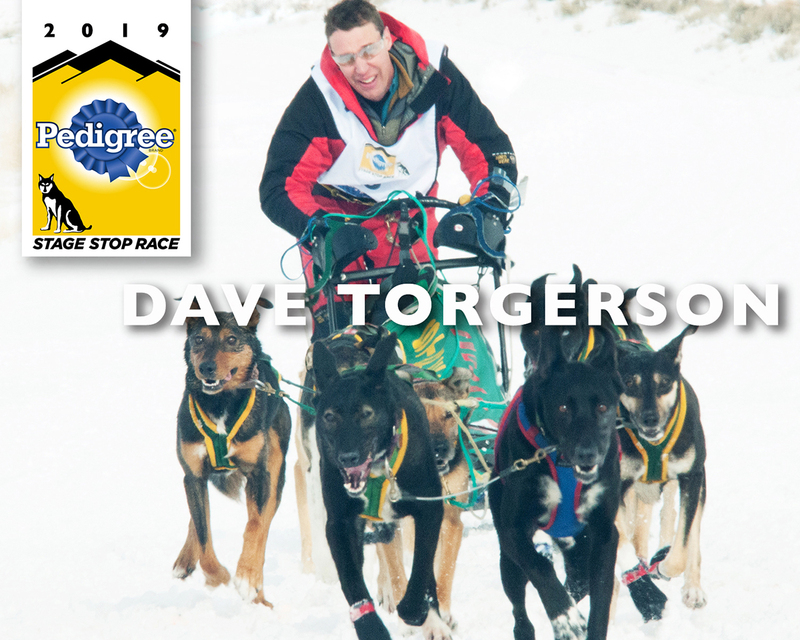 #20 — David Torgerson from Red Lodge, Montana. 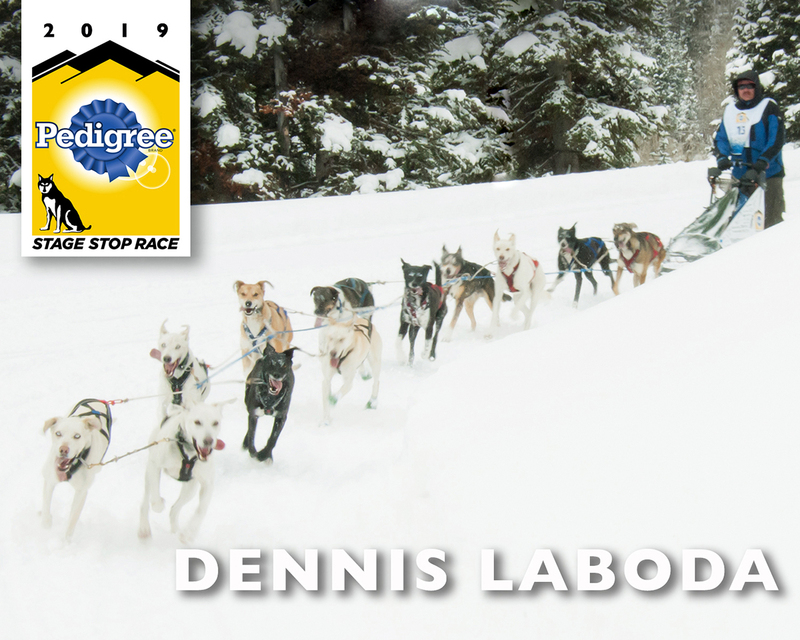 Since starting sled dog racing in 1989, Dave has raced extensively throughout the United States and Canada in the middle distance and stage format. 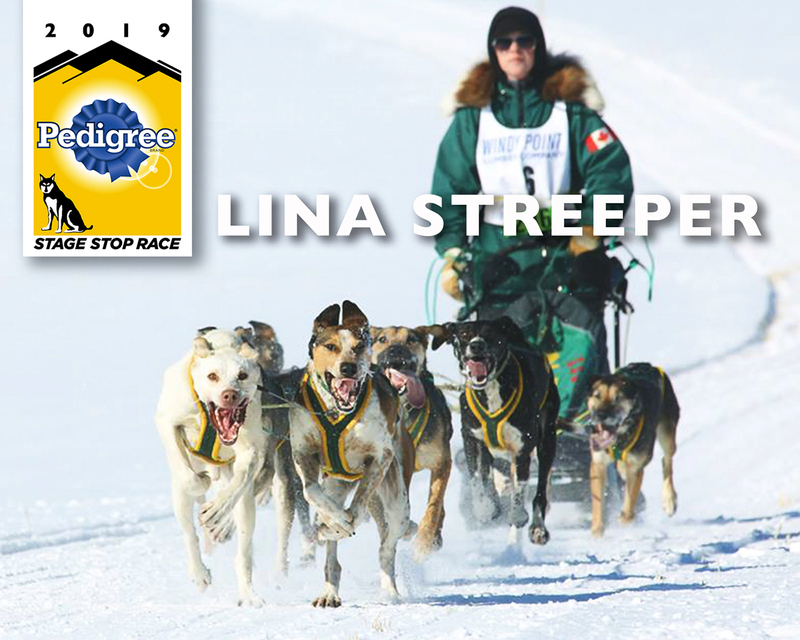 In 2001, he put sled dog racing on hold to pursue other aspects of life, his family and business, but in 2017 returned to the runners behind the Streeper Kennels’ B-Team at the Stage Stop where he placed second. 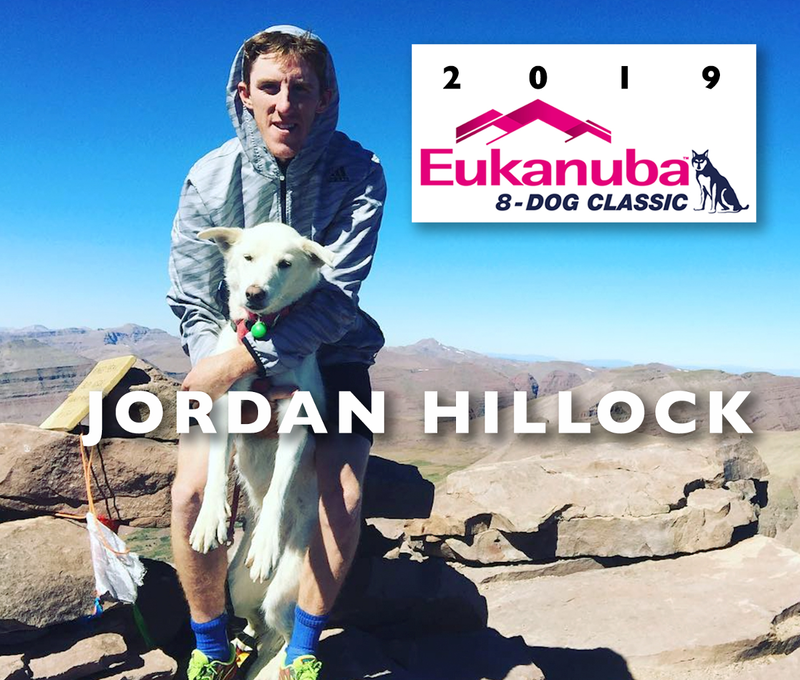 He’s coming back for the third consecutive year, and will be joined by his daughter Maria who is running a Streeper Kennels team in this year’s Eukanuba 8-Dog Classic. Dennis is a self-employed contractor. Sled dogs were a neighborhood activity for him when he was growing up in Minnesota. His older brother, Dale, started mushing as a teenager and raced IPSSSDR in the early years of our event. Following in his brother’s “footsteps in the snow,” Dennis started mushing as a teenager and in 1973 won the Minnesota State Championship 5-dog class with dogs supplied by Chuck Gould. He’s won many races in North and South America, and has been a race official in Europe. Mushing has been a family activity. He and his son, Charlie, train and race Night Train Racing Sled Dogs. #18 — Emilie Entrikin from Fairbanks, Alaska. 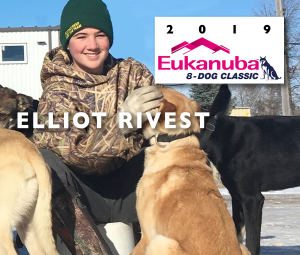 Emilie was first introduced to the dog mushing at age 21 working for a mid-distance kennel in Minnesota. She then moved to Alaska and began skijor racing with her own two dogs. Not quite satisfied with the challenge of skijoring, Emile bred her first litter of pups and ran her first sprint Open Class race in 2014. Since then, she’s raised 3 litters of dogs and has competed throughout Alaska and Canada. 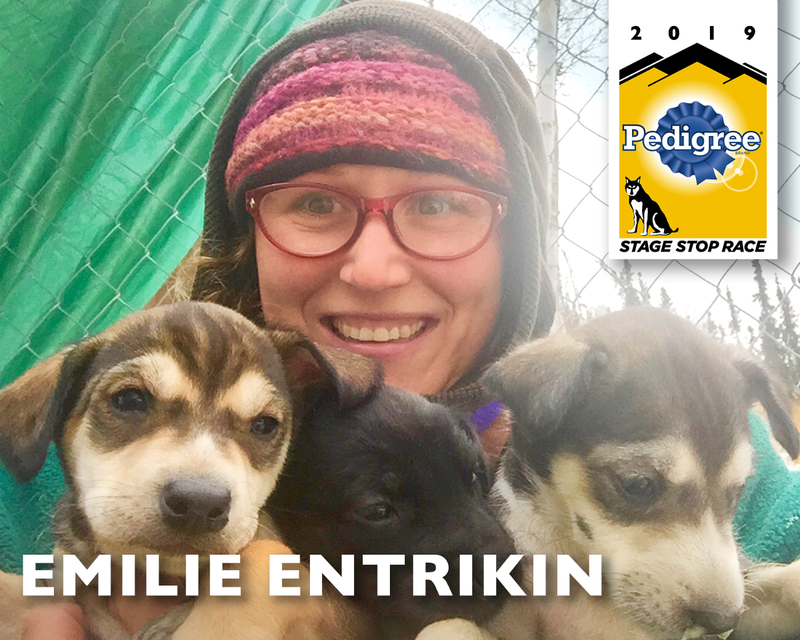 She says her favorite races “are in the remote villages of Alaska where the history of sprint racing runs deep.” When not spending time with her dogs, Emilie is a wilderness raft, canoe, and backpack guide in the Alaska Arctic. #17 — Lina Streeper from Fort Nelson, British Columbia, Canada. 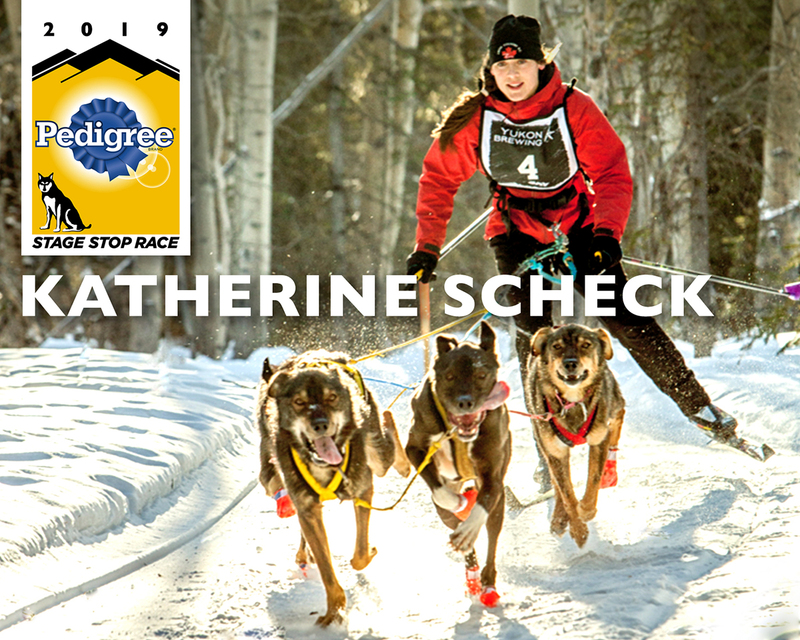 #16 — Katherine Scheck from Whitehorse, Yukon Territories, Canada.